KATHMANDU, April 16: The government will set up a flagship international forum called “Sagarmatha Dialogue,” in Kathmandu to host dialogues with the countries from South Asia and beyond on contemporary global issues such as climate change and global warming, officials said. 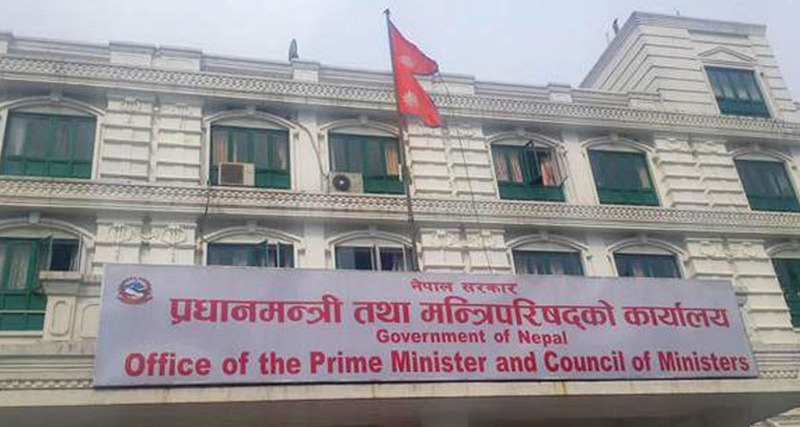 A cabinet meeting held on Monday took a decision to this effect, Prime Minister KP Sharma Oli’s press advisor Kundan Aryal said on Twitter. “The Sagarmatha Dialogue will witness deliberations on matters pertaining to contemporary international issues,” he said. Once launched, this would be first ever flagship international forum to be run by the Nepal government where the government will share the country’s prime concerns including effects of climate change and environment protection. Foreign Secretary Shanker Das Bairagi told Republica Online that the government wants to discuss the agenda of mountain economy and effects of climate change during the forum. “We are yet to finalize the modality to run the forum. Probably, we will hold it biennially. It will take some time to finalize the works for the same,” Bairagi. Officials of the Ministry of Foreign Affairs and Prime Minister’s Office are making preparations to finalize the modality to run the forum. Neighboring India and China host their flagship events every year which are called Raisina Dialogue and Boao Forum for Asia respectively. “We will soon initiate process to set up this international forum. It would be similar to other forums like Raisina Dialogue,” he added. 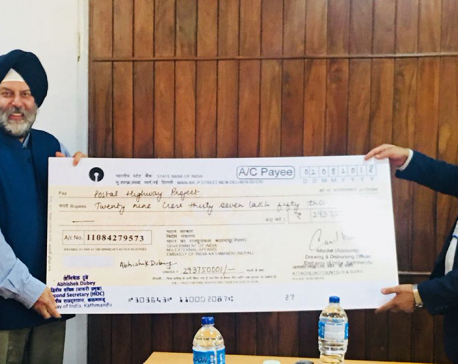 KATHMANDU, Aug 14: The government of India has released the amount of Rs 470 million for the postal highway project.